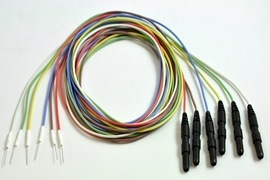 Disposable Subdermal EEG Needle, 12 mm, 0.4mm diameter (27 gauge) 100cm cable, colour-coded (box of 24). (Replaces 019-409700). 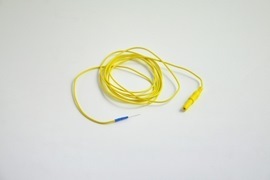 Disposable Subdermal EEG Needle, 12 mm, 0.4mm diameter (27 gauge) 1,5m lead, colour-coded, (box of 24) (Replace 019-409800). 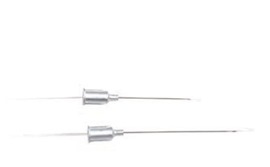 Disposable Scalp Needle Electrodes, 10 x 0.30 mm (30G), (Box of 40). 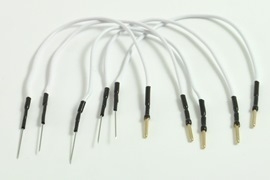 Reusable Subdermal Needle Electrodes, 13mm, 0,4mmØ, 1m cable, pack of 12pcs. 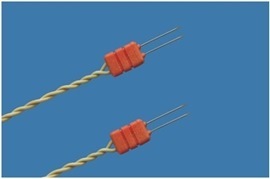 Disposable Needle Electrodes ENT Dual, 12mm needle 0.4mm. 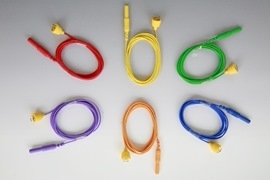 Cabel 100cm, (Box of 24 set). FRSH. 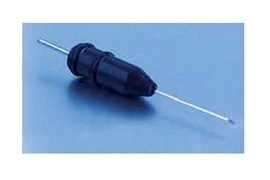 Disposable Needle Electrodes ENT Dual, 12mm needle 0.4mm. 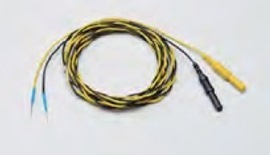 Cabel 150cm, (Box of 24 set). FRSH. 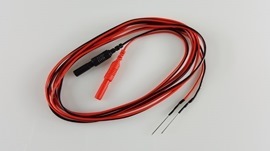 Subdermal Needle Electrode, 2 Parallel, Wire 150 cm, Needle 0,45 x 17mm, color: Black/ Red 12 pair. FRSH. 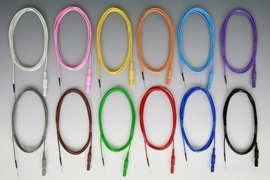 Disposable Subdermal Needle, 13mm, diameter 0,4mm, Wire 100 cm, 24 pcs in 6 colors. FRSH. 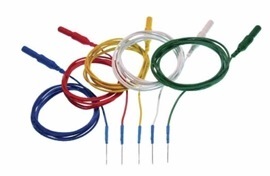 Disposable Subdermal Needle, 13mm, diameter 0,4mm, Wire 150 cm, 24 pcs in 6 colors. FRSH. 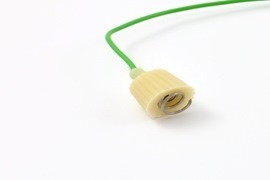 Disposable Subdermal Needle, 13mm, diameter 0,4mm, Wire 150 cm, 24 pcs in green colors. FRSH. 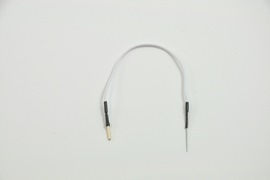 Disposable Subdermal Needle, 13mm, diameter 0,4mm, Wire 150 cm, 24 pcs in White colors. FRSH. Disposable Subdermal Needle, 17mm, diameter 0,45, Wire 150 cm, 24 pcs in 6 colors. FRSH. Disposable Subdermal Needle, 7mm, diameter 0,35mm, Wire 150 cm, 24 pcs in 6 colors. FRSH. Disposable Subdermal Needle 13mm, diameter 0,5mm, Wire 200cm, 24 pcs 6 colors. FRSH. Disposable Subdermal Needle 13mm, diameter 0,5mm, Wire 200cm, 24 pcs White colors. FRSH. 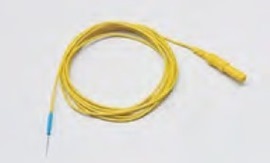 Disposable Subdermal Needle, 13mm, diameter 0,4mm, Wire 250cm, 24 pcs in 6 colors. FRSH. Subdermal Corkscrew Needle, Single, Wire 120 cm, Needle 0,6mm, 6 colors 24 pcs. FRSH. 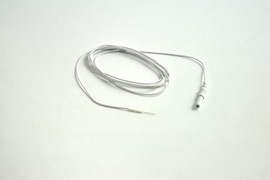 Subdermal Needle Electrode, Twisted 3 leads, wire 100 cm, Needle 0,3mm x 20mm. (red, black and green). (Bag of 12 set). 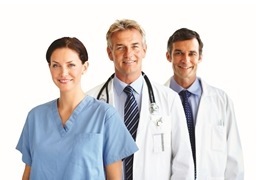 Neurosign. FRSH. 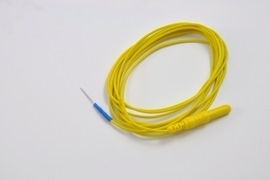 Subdermal Needle Electrode, Twisted Pair, Wire 150 cm, Needle 0,4 x 13mm, 12 colors 12 pair. FRSH. 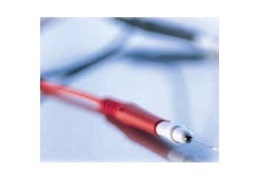 Subdermal Needle Electrode, Twisted Pair, Wire 150 cm, Needle 0,4 x 13mm, color: Red/Black 12 pair. FRSH. 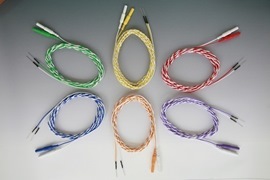 Subdermal Needle Electrode, Twisted Pair, Wire 200 cm, Needle 0,4 x 13mm, 12 colors 12 pair. FRSH. 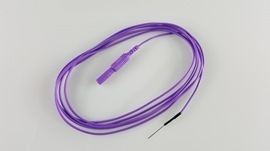 Subdermal Needle Electrode, Twisted Pair, Wire 250 cm, Needle 0,4 x 13mm, 12 colors 12 pair. FRSH. 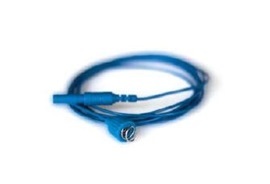 Disposable Bipolar Hook, 2-Wire Electrode 22 Gauge, 50mm (Bag of 10). Sterile. 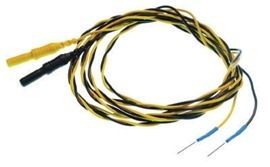 Disposable Monopolar Hook, 1-Wire Electrode 22 Gauge, 50mm (Bag of 10). Sterile. 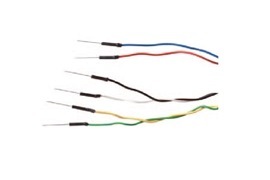 Disposable Subdermal Curved EEG Needle electrode, 21 x 0.45mm (26gauge) Stainless Steel, 2m PVC wire, multi color (Box of 25) TP Connector.